Firm News and Resources Category Archives — Chicago Criminal Lawyer Blog Published by Chicago Criminal Defense Attorney — Law Offices of David L. Freidberg, P.C. On March 20, the Illinois Supreme Court overturned the state’s controversial audio eavesdropping law on the grounds that it was unconstitutional. The court ruled that the eavesdropping law, which made it a felony to record and publish speech without the consent of all parties, was an overly broad restriction of the first amendment right of free speech. If you or someone you know has been charged or convicted under the Illinois audio eavesdropping act, contact an Illinois criminal defense attorney immediately to discuss having your case dismissed and your record expunged. 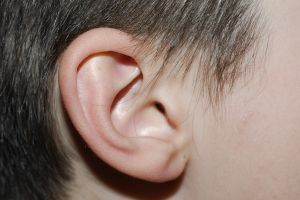 The Illinois audio eavesdropping act made it a felony to knowingly and intentional ly use a device to either listen to, or record, any part of a conversation, unless the recording was made with the consent of all parties. It also prohibited divulging the conversation in any manner. A first offense was a Class 4 felony, punishable by one to three years in prison. A second offense was a Class 3 felony, punishable by three to five years in prison. Both were also subject to imposition of up to a $25,000 fine. The case was brought before the Illinois Supreme Court in People of the State of Illinois vs. Annabel Melongo. Ms. Melongo was charged in a Cook County trial court after she recorded a court employee and then published the recordings on her blog. Ms. Melongo failed to get the court employee’s permission prior to recording the conversation. Ms. Melongo’s first trial ended in a mistrial, with the jury being unable to come to a decision. The prosecution retried the case, and in the second hearing Ms. Melongo argued that the eavesdropping act violated the First Amendment’s right of free speech. The trial court agreed and declared the statute unconstitutional, and the prosecutor appealed. Ms. Melongo spent 20 months in jail awaiting trial. The court ruled that the Illinois eavesdropping act violated the First Amendment right of free speech because it was too broad. The statute’s intent was to protect private conversations from being recorded and shared. If you meet with your attorney, for example, you shouldn’t have to worry that somebody is sitting outside the door with a cell phone in hand, recording the conversation with the intent of sharing it. You have an expectation of privacy because you are behind closed doors, in a private meeting with your attorney. The court found that the statute, as written, made all conversations private, even those where a person would not have a reasonable expectation of privacy. For example, if you recorded a person talking loudly on his cell phone on the bus, a husband and wife arguing in a public park, or fans screaming at a Chicago Bulls game, you could be charged and convicted of violating the eavesdropping act – even though none of those people should expect that their conversations are private. Because the court found the recording part of the eavesdropping act unconstitutional, it also found that the prohibition against sharing the conversation unconstitutional as well. Not only does this make sense from a legal standpoint – if you have the right to record, you should have the right to publish – it makes sense from a practical standpoint as well. ILLINOIS GUN STATUTE DEEMED UNCONSTITUTIONAL! The Illinois Supreme Court has ruled in People v. Aguilar, 2013 IL 112116 that Illinois’ gun statute (UUW) 720 ILCS 5/24-1.6(A)(1) is unconstitutional in that it violates the right to keep and bear arms, as guaranteed by the second amendment to the United States Constitution. As a result, the Cook County States Attorney’s Office is dismissing a number of these cases! There is still the issue as to whether a FOID (firearm owners identification) card is a requirement for these dismissals. At the moment, the State is only dismissing cases where the defendant was in possession of a valid FOID card. We are starting to argue that a FOID card is not necessary. Waiting to see how that plays out. Facing a Chicago murder charge can carry significant consequences. It has been over a decade since the disappearance of 24-year-old Washington, D.C. intern Chandra Levy, but the case is back in the national spotlight as questions continue to swirl concerning the guilt of Ingmar Guandique, the Salvadorian illegal immigrant convicted of killing Levy in 2010. The Chandra Levy case, which captured national attention due to its mystery, intrigue, and political ties, is back in court due to the fact that defense attorneys for Ingmar Guandique have called into question the testimony of a star prosecution witness, Armando Morales. Numerous hearings have been held on the matter but, until now, the proceedings were kept secret due to concerns for Morales safety. On July 29, 2013, however, D.C. Superior Court Judge Gerald Fisher ordered the release of the transcripts of these previously confidential hearings. While it is unclear how much new information these documents will contain, they should be available by the end of the week. Ingmar Guandique was charged with the death of Chandra Levy in 2009, seven years after Levy’s remains were found in a Washington, D.C. area park. Guandique, then 20 years old, was already in jail for attacking two women in the very same park where Chandra Levy’s body was found. From the start, he adamantly denied murdering Chandra Levy. During his trial, the prosecution presented the crucial testimony of Armando Morales, Guandrique’s one time cell mate, also a convicted felon and gang member, who told the jury that Guandique confessed to him to killing Chandra Levy. Guandrique’s defense attorneys state that the unsealed documents will reveal Morales made contradictory statements at trial. For instance, Morales testified at trial that he had never come forward to law enforcement before as he did not trust them. However, the defense recently learned Morales had discussed three murders with law enforcement officers and informed them of drugs and weapons dealings occurring in the prison in which he was housed. Guandrique’s defense team plans to request a new trial based on this previously undiscovered information affecting Morales’ credibility. The motion will likely be filed in October or November of this year. A conviction does not have to be final–with a strong, dedicated defense team a guilty verdict is not irreversible, even in a high-profile Chicago murder case. An experienced defense attorney will continue to fight for your case and diligently search for new evidence that might warrant a new trial. Witness credibility is crucial—in so many cases like Guandrique’s, witness testimony is one of, if not the deciding factor of, an individual’s guilt. Given the potential for witnesses to lie or be less than fully honest – particularly jail house informants like Morales – it is absolutely critical for your defense attorney to test the credibility of the prosecution’s witnesses. This is accomplished through thorough discovery, extensive preparation, and effective cross-examination. Wrongful convictions do happen—although Guandrique’s defense team still faces an uphill battle in proving he deserves a new trial, his case does serve to highlight the fact that wrongful convictions can occur; and do in fact occur more often than we would like to believe. 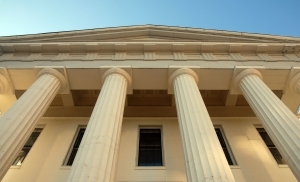 Wrongful convictions are frequently a result of poor lawyering, such as an attorney’s failure to fully investigate and prepare his client’s defense. This makes it imperative to obtain the representation of a skilled, experienced, and dedicated defense attorney. Despite Illinois’ recent enactment of its concealed-carry gun law, some gun rights advocates are still not happy – and, they are taking their dissatisfaction to federal court. 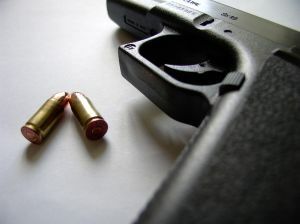 In a motion filed earlier this month by Mary Shepard, and backed by the Illinois State Rifle Association, she asserts that having to wait several months for the permit process to be outlined is an unjustified abridgment of her Second Amendment rights. Shepard, a gun owner from Cobden, Illinois, was 69 at the time she was brutally attacked (along with her 83-year old coworker) and left for dead by Willis Bates, a paroled felon, as he burglarized the First Baptist Church where she worked. As a result, she argues that had she been able to carry a gun at the time of the incident (back in 2009), she would have been able to thwart the attack and protect herself. By way of background, the new law was passed on July 9, despite Governor Pat Quinn’s rather vehement objections, barely meeting the deadline set by the 7th Circuit Court of Appeals to create the legislation. Pursuant to its terms, Illinois State Police are charged with the responsibility of setting up a permit program before concealed-carry applications can be submitted. Specifically, the police have 180 days with which to complete this process, and an additional 90 days to process the application forms that they receive. As a result, Shepard and several other gun rights advocates feel that the aforementioned timeframe is way too long and perpetuates Illinois’ long-standing gun ban until the permit process is up and running. In her court filing, Shepard provides that “the delay proposed by the state constitutes an unacceptable perpetuation of the defendants’ infringement of the Second Amendment rights of Ms. Shepard and the other law-abiding citizens of the state of Illinois”, and further insists that “no Wild West anarchy would ensue” if the U.S. District judge, the Honorable William Stiehl, ruled in her favor. In response to Shepard’s arguments, the State of Illinois has fired back, stating that her case is completely moot and therefore, should be dismissed. According to the State, it asserts that the law provides Shepard with what she wanted all along – the right to conceal and carry a gun. Moreover, it further argues that the timeframe allotted to the Illinois State Police to develop the permit program should be allowed to run its course. Notwithstanding both the State and Ms. Shepard’s respective positions, no hearing date has been set by Judge Stiehl to rule on the matter. If you find yourself in trouble with the law, guilty or innocent, you should call on the services of a Chicago criminal defense attorney. There are a number of crimes of which you might be accused and an experienced lawyer helps you defend yourself. Whether you need to prove your innocence or that your crime was justified, a Chicago criminal defense lawyer guides you through the stressful, and sometimes intimidating, legal process. The American legal system is complicated. You might think you understand how things work because you have watched courtroom dramas on TV, but things are never simple enough to be resolved in an hour. A criminal defense attorney is able to help you navigate the confusing legal system. Criminal defense lawyers have studied the legal system. They are familiar with local, state and federal laws. They understand the nuances of the legal system and if there is a way to interpret a law in your favor, a Chicago criminal defense attorney will be able to do so. Criminal defense attorneys have experience. Attorneys have spent their careers working with the law and have used it to help clients before you. They are also familiar with the individual personalities in the local legal system. A Chicago criminal defense lawyer is likely to know the prosecuting attorney, as well as the judge. This insight helps you a great deal during legal proceedings. A criminal defense attorney acts as your personal representative. No matter whether you are facing a Chicago drug charge or a simple Chicago battery charge, your lawyer will listen to your side of the story. Even if it feels as if everyone is judging you, your lawyer is on your side. Everyone deserves justice and your lawyer will see to it that you get yours. You will be represented fairly and everything you share with your lawyer will be confidential. A lawyer from a Chicago law firm knows the routine and will assist you during the bail process, when you appear before a judge and throughout the case. If you are not released on bail, they will meet with you in jail and talk confidentially. During the meetings you will receive information about the proceedings, so you know what to expect during each phase of the process. Legal counsel helps you anticipate what happens next and provides you with information so you do not say or do something that can be held against you at a later time. They are aware of the evidence that will be used against you. During the discovery process, attorneys are required to share evidence with one another that will be presented during the trial. For instance, if you have been accused of driving while intoxicated, the prosecution will have to share any information they have concerning your blood alcohol results or eye witness testimony with your DUI defense lawyer. This gives you and your attorney a chance to build an argument against the evidence beforehand. Your attorney will work to select the best possible jury for you. An experienced Chicago criminal defense attorney will choose jurors that are most likely to treat you fairly during your trial. They know how to battle the prosecution and are trained at focusing on the weaknesses of their case. They might also be familiar with the courtroom style of the prosecuting attorney and frame their case to weaken the prosecutions argument.